carries a taxpayer subsidy of over $25,000. All LSRD-produced power is surplus energy to both Bonneville Power Administration and the Pacific Northwest. Since 2009, BPA has not needed a single kilowatt of LSRD energy to meet contracted customer demand. Wind energy alone has replaced all LSRD hydropower three times over. The price of surplus energy has plunged. The California market is quickly drying up. BPA is on the edge of a financial cliff. Over the past 20 years, total LSR freight volume declined nearly 70 percent. LSR reservoirs no longer transport logs, lumber, paper, pulp, pulse or petroleum. Container shipping is zero. 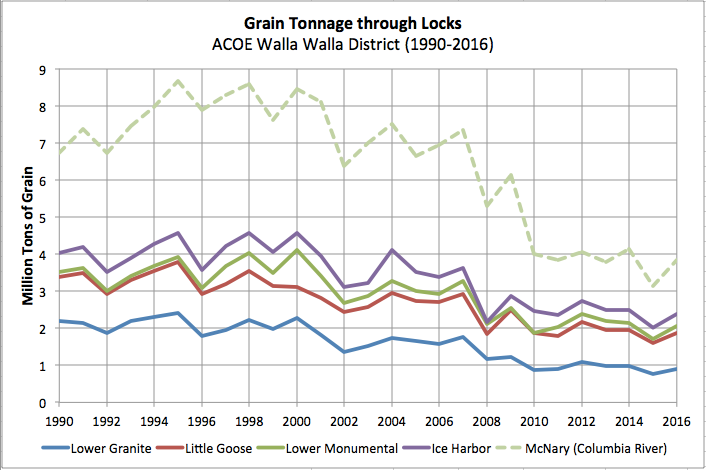 Grain volume has declined 45 percent. The last dredging needed to keep open the Port of Lewiston cost taxpayers over $10 million. Every Snake River barge load that leaves Idaho carries a taxpayer subsidy of over $25,000. Fish mitigation costs - necessitated by the LSRD's existence - exceed $100 million per year. Snake River salmon and steelhead runs continue to collapse. After two decades and billions spent, no Snake River threatened or endangered fish species is on a path to recovery. Those are facts. Rep. Newhouse should share them with his committee.